Let me start with a question, how many of you are PC gamers? With the release of massively multiplayer online role-playing games or MMORPGs such as EverQuest and World of Warcraft, as well as increased popularity in First-Person Shooters, more people are gaming online now more than ever. If you have sat at your PC and played a game on Steam, you know after about an hour, your hand, wrist, and forearm will be screaming. The issue is that most gamers utilize the QWERTY keyboard input system, also known as the layout of the PC alphabet and numerical keyboard. The QWERTY input system is excellent for the purpose it serves but can be a liability for online gamers, who must apply both the mouse and keyboard at the same time, all while controlling their character with keys that function by the game's options. There is an alternative to this though that can be extremely beneficial for gamers, the best gaming keypad. The difference between a QWERTY keyboard and a gaming keypad is simple. Like I said in the last paragraph, PC keyboards utilize the same key layout as a typewriter, gaming keypads are different. Keyboards are large and filled with useless “Dead Keys” while playing video games. Keyboards are great for word processing, but there are some differences between gaming keypads. They are physically smaller with a much more limited number of keys which are specialized for video games. The keys on a gaming keypad are centered around what is called the “W, A, S, D” layout, which is the most commonly used keys in PC gaming, as well as the keys that are close to these characters that may need to be used. Why does this matter? Not only are keypads optimized for the WASD layout, they often feature essential supplementary controls such as the escape key, volume and brightness controls, and the F series of hotkeys. Optimized WASD and accessory keys essentially offer gamers the freedom to use a series of macro controls, often with added USB and programmable buttons incorporated in them, all of which are accessible with one-handed use. Now, let’s review five of the best gaming keypad you can find on the market today as well as their features and the pros and cons of the specific models. Let’s jump in. This is one of the most important factors you will face when choosing a gaming keypad. This ensures that you can use your device with ease and comfort, even when you are playing for hours upon hours on end. A keypad that is ergonomically designed will have a handy layout for all its keys so that there will not be any that are difficult to reach during gameplay. Rows of keys should not be too close together or too far apart so that you can hit them accurately when you are in a pinch. The device should also feel comfortable to use and flow with the way your fingers and hands work naturally. You don’t want to use a keypad that involves you holding your hands in an awkward and uncomfortable position just to make use of all the buttons and the directional pad. In addition, a keypad should have comfort-enhancing features like cushioned palm or wrist rests so that you don’t experience fatigue during long gameplay sessions. You want to be able to go for hours without needing a break or feeling any pain and discomfort, so it is important that your keypad allows for maximum comfort. Any good keypad should come with a large number of keys that can all be individually programmed in order to suit the game you are playing. The directional pad and joystick may also be programmable. Ideally, you should be able to have full control over every single part of the device. You should expect to be able to implement complex macros and make use of interchangeable keymaps without any problem. It is also helpful when a gaming pad has onboard memory, which allows you to store these settings for future use. Some even come with multiple user profiles so that you can have different settings for all your favorite games, or so that someone can borrow the keypad without messing up your preferences. Anything that makes you play better and faster is always a plus. The right equipment can really change the way you game and affect your overall performance. As such, you can keep your eye out for keypads that offer functions that can make you a better gamer. What sort of features might you be able to find? Anti-ghosting keys that are able to pick up all your lightest pushes and respond accurately and quickly are excellent for gaming. Backlighting on the keys will help you to a game even in the dark, and some backlights are even customizable. Meanwhile, a rubberized base will prevent the keypad from sliding around when you are moving quickly. 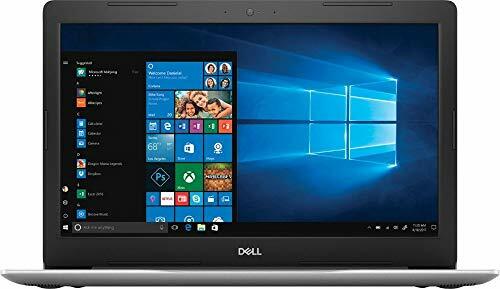 Some of them even come with in-built profiles and key setups for a variety of popular games so that you don’t have to figure out the best configuration for your favorite MMOs and MOBAs. Whatever the case, if there’s a feature you feel you need, look for a gaming board that offers those configurations! 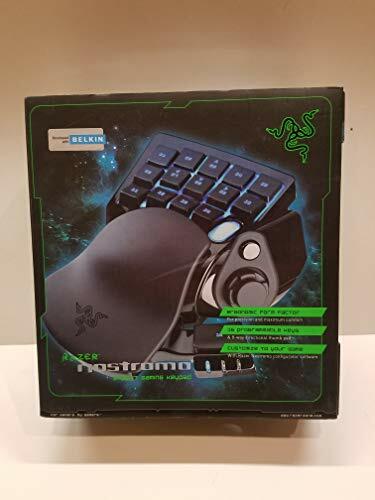 The first Gaming keypad on our list is the Razer Nostromo Gaming Keypad, which leaves your controls within reach in this sleek little package. The device itself measures 2.3 inches x 7.2 inches x 6.3 inches (Height, Width, Depth) with a molded ergonomic rest for supporting your wrist by keeping it in a natural position, reducing strain and fatigue that you would feel with a QWERTY keyboard while you game. It has a 16-button layout, 14 of which are finger buttons, two additional buttons for your thumb, an index finger scroll wheel and an eight-way directional raised mousepad which has a slightly larger head than most keypads of this class. The exterior body of the Nostromo keypad is fine gloss plastic with a rubberized surface in specific friction points where the skin will be contacting the pad during use. There is an integral blue LED backlight that emits behind the surface of the keys and scroll wheel so you can see the keys while in the darkest environments. Regarding system and hardware requirements, it’s not wireless, all that’s required is a USB port. You will need an internet connection for initial activation and set up of the Synapse 2.0 system. You’ll need an email address for registration and license acceptance, downloading your software and activating the rest of its features. Once activated, it can be used in offline mode if you so choose. One of the best features of the Razer is the fully programmable keys. Custom programming keys are optional depending on the game you’re playing, but the software packet gives you several pre-programmed factory settings you can elect to use as well. There is an even quicker way to switch between preset keymaps by assigning them to a hotkey on the keypads dashboard. It should be noted that this isn’t a plug and play keypad. Before you start, you must install the Razers Nostromo Configuration program to access the program dashboard. Once in the dashboard, you can assign custom key sets to four different keymaps that you can alternate through during play. Small, practical tournament style keypad with a variety of customizable keys. The physical construction is built to accommodate average size hands for prolonged gaming sessions comfortably. The ergonomic wrist and palm rest are rubberized for comfort and are adjustable to several angles. Not plug and play, requires software to change keys. 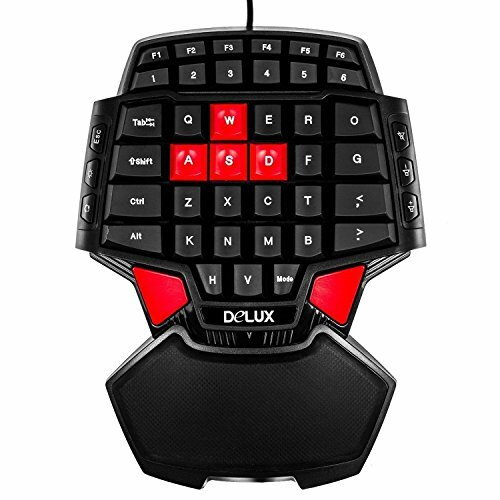 The Delux T9 Gaming Keyboard offers almost double the number of keys as another keypad, excellent ergonomics and comfort, and affordability all in one package. Right off the bat, you’ll notice the keyboards unique diamond shape, the raised backing, and fully ambidextrous controls. The standard WASD keys are painted red for easy identification, they’re place somewhat left of center, it may be more comfortable for right-handed users, but the double space key design accommodates left and right-handed gamers well. The dimensions of the device are 11.2 inches x 9.4 inches x 3.4 inches (Length, Width, Height), it has a nice heft and feels stable and balanced on flat surfaces. Generously spaced palm and wrist rest’s leave you with plenty of room for positioning your hand comfortably on the board. As I mentioned before, the red cap WASD keys are left of center but positioned where your fingers naturally fall. The keys themselves are recessed with anti-ghosting registration, so every command is picked up by your computer. You have your typical keys such as Alt, Shift, Tab, Arrow Keys, one through five numerals and F1 through F6 as well as volume controls. There are no programmable macros with the software so, but it does have standard gaming controls. If you want to assign specific keys to specific functions, you’ll have to change the controls in the games options menu. Not a big deal but it could be an inconvenience to some. The LED backlight lights the keys well in the dark, but it only glows blue, which doesn’t exactly go well with the red and black color scheme, but this isn’t anything more than an aesthetic issue, the light does shut off by itself after extended usage. You do have to do some minor software installations before you can use the keypad, but you can begin using immediately after the initial set up process. Simple, robust and comfortable gaming keyboard. Compatible with Windows 2000, Vista, Windows 7, 8, 10, Mac OS and Linux operating systems. Diamond shaped design with padded contact points and rubberized legs to keep the board firmly in contact with the surface. Two integrated space keys for left and right-handed users. Only one LED backlight color. Pretty difficult to find an English manual, it comes with Chinese manual. In a constantly evolving technological world, sometimes a tested, durable warhorse is the ticket to achieving gaming glory. 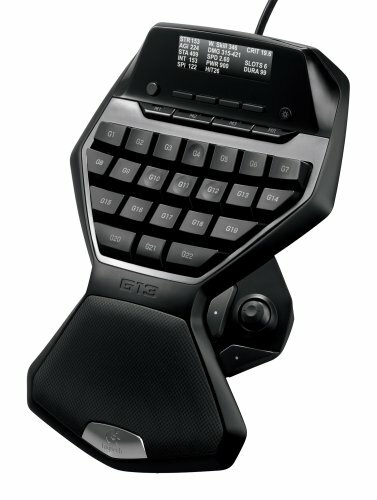 The Logitech G13 Gameboard that utilizes the WASD layout we spoke of earlier. This bestselling hybrid keypad began its claim to fame by winning the CES Best of Innovations Award in 2009; it is still one of the most widely sold keypads on the market today. The success of the G13 comes as no surprise given the fact it features many customizable macro key combinations and a standard WASD default layout all built into a small, manageable package that uses a very user-friendly design. The keys are where they should be; the joystick is large enough, to where you’re not overextending your thumb. It also has a comfortable wrist, and palm rest reduce exhaustion and a small LCD screen that shows all relevant information. The overall dimensions of the keypad are as follows: 1.3 inches x 7 inches x 10 inches (Height, Width, Depth). It weighs in at 1.3 pounds, so it’s light, but the rubberized feet accommodate this with firmer grips to the surface. All in all, it’s a very stable keypad that can withstand the beatings it’ll inevitably take. Now for the keypad layout and design. The G13 has 22 programmable keys that are situated where fingers naturally fall into position with your hand on the palm rest. The keys aren’t chunky but contoured to the relaxed fingertip with the dimpled WASD keys centralized in the layout of the board. The device itself is contoured, not flat, additionally reducing the long-term effects of carpal tunnel from typing on a QWERTY keyboard. There are two additional action buttons near where your thumb rests, where the rubberized analog joystick you can use instead of the WASD keys. The entire pad is backlit with a rainbow mosaic of colorful LCD bulbs you can choose to use. The small LCD display is backlit and displays information such as CPU and RAM data, a stopwatch and countdown timer. Just below the screen, there are a few more buttons that turn the LCD on or off, as well as buttons for recording macros and toggling keymaps. It has so many tricks that it can easily be called the best gaming keypad. A medium sized contoured keypad that’s designed with comfortable ergonomics in mind. Connects to PC with a USB 2.0 connection with a seven-foot cord, plenty of slack to plug into your computer tower. WASD default buttons but all 22 keys are fully programmable to whatever you need them to be. Not plug and play, you must download software to use. One look at this keypad and I was mystified yet intrigued by it. It looks stylish and unique without sacrificing comfort and simplicity. There is a total of 29 programmable keys that are oddly familiar yet different than anything you’ve ever used before. They are primary mechanical keys but with shorter internal switches to reduce the clacking sound. The large grey triangular key is the keypads default space bar but can be changed to whichever function you need it to serve as but it remains distinct from the rest of the keys on the pad. 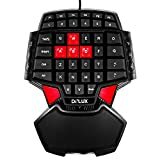 It has several regular keys such as Tab, Ctrl, Alt, Shift, Escape and F 1-6 keys but it doesn’t offer the option to change keymaps nor does it have a scroll bar, joystick, or mouse pad. It is just as the name implies, a simple mechanical keypad. You can change the macros of the device and add hotkeys, but you must change them via their software you can access on their website, not with the press of a button. You’re also able to edit the millisecond response of the keystrokes in the macro editing program as well. The LED backlight offers around a dozen preset configurations as well as cascading color patterns and lights that respond to each of your keystrokes. You can also edit the settings of the backlight using RBG or separately change the color of each key to tailor a unique look. The cord length isn’t very long at five and a half feet, but it’s long enough to reach your tower, you may not have much slack, but the braided USB cord is pretty durable and won't tangle with other wires on contact. Compatible with Windows seven, eight, Vista, Windows 10 and Mac OS X. 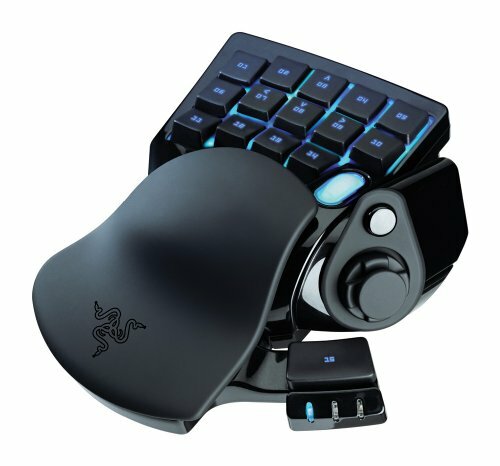 Simple, comfortable gaming keyboard with ergonomic palm and wrist rest. Macro Editing Software allows the user to change the LED backlight, macros, and responsivity of all 29 keys. Raised keys have anti-ghosting features, so each of your keystrokes registers with the computer. The USB cord is only five and a half feet long but is braided for extra durability. The Belkin n52te Tournament Edition SpeedPad is perfect for First Person Shooters, RPGs and any other genre of video game that requires rapid control and situational awareness. As the name implies, it’s a tournament style pad built for speed and precision. Regarding functionality, the speed pad is an all in one unit with a cushioned wrist pad, an integrated palm pad that contours to the hand, and a 15-key backlit keypad with customizable macro controls. You’re not limited to preset functions. The speed pad features a built-in scroll wheel in the lower corner of the pad, so you’re not overextending your finger to scroll. The removable joystick offers another gameplay option in place of a mouse; it has an eight-directional thumbpad you can use in place of the keys if you so choose to. Speaking of keys, all 15 are fully customizable, so you can select which ones do what without an overcomplicated setup process. There are three keymap options you can intuitively cycle through with the press of a button. It’s not a large gaming keypad with dimensions of 4.1 inches x 8.5 inches x 9.1 inches but the keys, scroll bar, and joystick are positioned together in a way that won’t feel unnatural, and the rubberized feet secure to your surface no matter how rowdy the gameplay gets. The backlight is a pleasing soft blue LED light that emits from the keys and scrollbar and stays on throughout gameplay unless you manually change the lighting settings. The n52te has internal memory with gameplay personalization software provided by Razer; you can store your keymaps for various games online, making it a real plug and play board. A true tournament style keypad. 15 fully programmable keys with quick responsivity. Padded wrist support and contoured palm rest. Razer internal memory enables plug and play connectivity for your favorite games. If you want to use the n52 for Windows 10, you may have to update a few drivers for the keypad to register. You have to update your control panel and do your keymaps manually whenever you change computers. At this point, it really comes down to preference so put some thought into exactly what you need and go from there. I hope our Gaming keypad review removed some of the mystery from your search. There are many different styles to choose from, most offering unique features other gaming pads don’t. It entirely depends on the type of game you’re playing, how customizable you want the keys to be, and even the size of your hand could be determining factors for a keypad.